In this gospel, Jesus teaches us that the only way we can overcome the evil in this world, is through prayer and fasting. 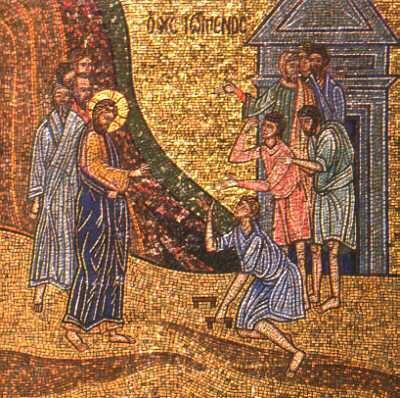 The incident in today’s Gospel took place immediately after the Transfiguration. At the Transfiguration three of our Lord’s disciples, Peter, James and John saw our Lord Jesus Christ as He truly is, shining with the glory of God that was His before all ages. They knew then that He was King and God, as we acknowledge at our baptism. And Jesus spoke to them of the “restoration of all things”. Yet when they came down from the mountain and moved among the ordinary people, it seemed that the devil was still king, and as he has been described, the god, or ruler, of this world. There was a demonised child, and the disciples of Jesus could not cure him. All things are to be restored, but the disciples of Jesus could not restore one small child. And Jesus attributed this to their lack of faith. They had seen Him transfigured on the mountain, they had seen His glory, as St John describes it, “glory as of the only begotten from the Father, full of grace and truth”. But back in the everyday world, their faith was too weak, so Jesus Himself drove out the demon that oppressed the child. And when the disciples asked Him why they had not been able to drive out the demon, Jesus repeated that it was because of their little faith, and said that this kind of demon does not come out without prayer and fasting. And we today are like those disciples too. 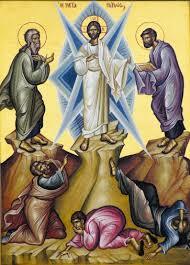 We are here in the Divine Liturgy, which is like the mountain of the transfiguration. 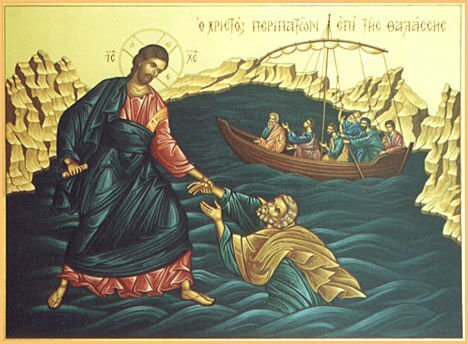 We see the holy icons, which show Jesus as He really is, with the glory He had from the Father before all ages. We see the icons of the angels and saints all around us. The saints are men and women who walked the earth as we do today, but as they grew strong in faith, so they were transformed, and transfigured so that the glory and grace of our Lord Jesus Christ shone through them. The icons enable us to see what is unseen, that we are surrounded by a great cloud of witnesses, the angels and saints. We are on the mountain, and we sing to the glory of God, and when we receive the Holy Communion, we receive our Lord Jesus Christ Himself, so that we may be transfigured. But what happens when we leave the temple, and go back into the world after the liturgy? All too often our faith shrinks, like the faith of those disciples of Jesus long ago. We are confronted with a world in which the devil still seems to be powerful, and we are weak. We see people who are suffering as a result of the evil in the world, and we are unable to help them. And all too often we are careless in our prayers, hasty to come to the end of them, wandering and inattentive. We are busy or tired or have woken up late, and so we put off praying until later, when we have time, but somehow the time never comes, and soon the day has gone by without us praying at all. 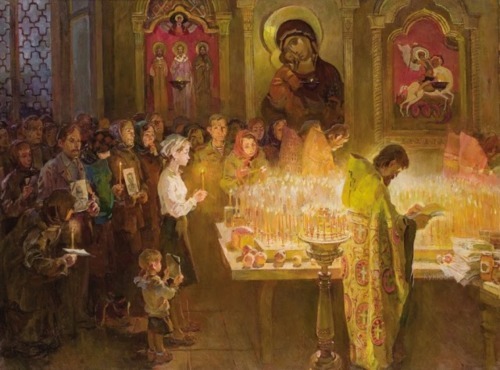 We are lukewarm at the celebration of the Divine Liturgy, negligent in preparing for communion, and cold and dry in receiving it. And we are just as lax in fasting. Some do not even fast before receiving the Holy Communion, never mind keeping the fasts of the Church on Wednesdays and Fridays, and in the fasting times of the year. If we pray and fast, even a little more each day, our little faith can grow stronger. And as it grows stronger we may become witnesses and channels of God’s power, to stand up to evil in the world.